Take your fresh air in style in this shiny gold beaded shell dress from the Junona Spring-Summer 2017 collection. 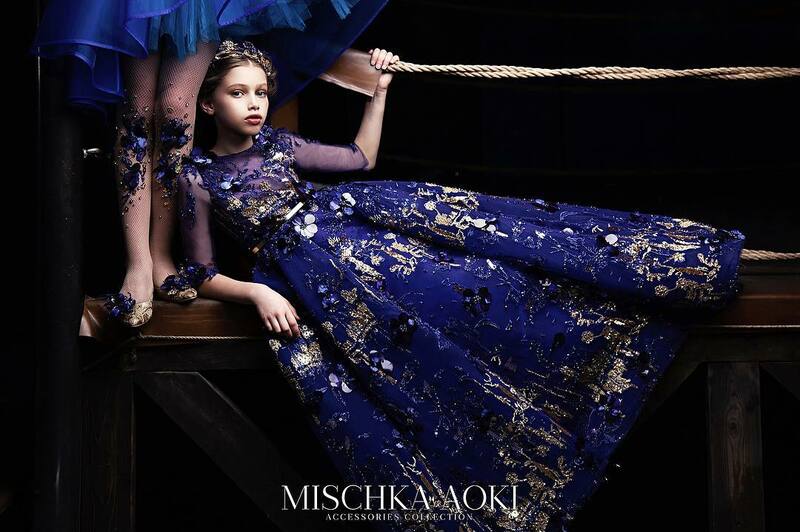 Girls elaborate gold satin and tulle dress by Junona, with a lady wearing a shiny gold shell dress on the bodice and gold bead detailing. 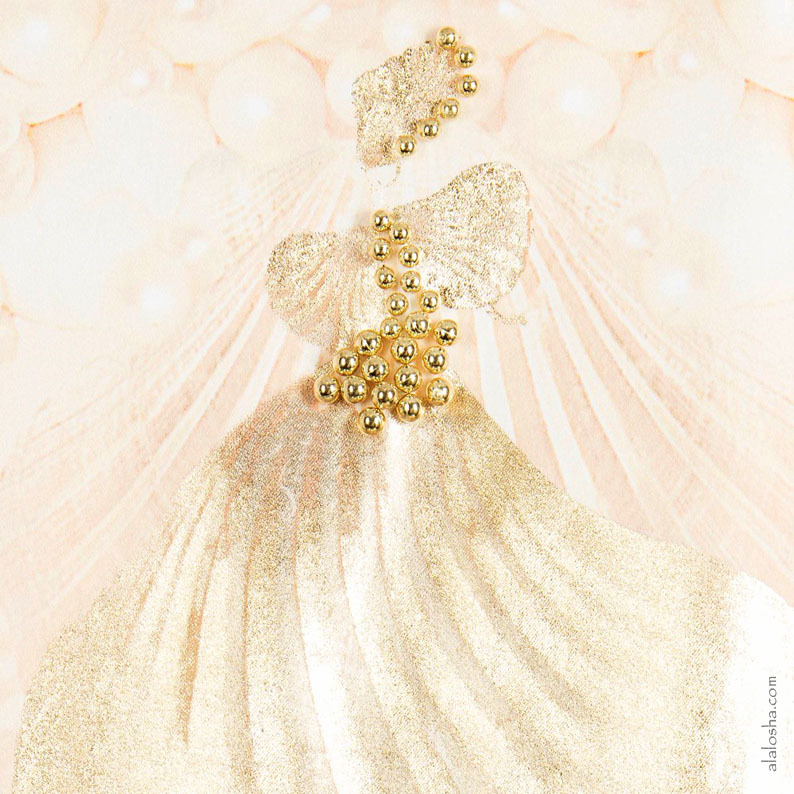 It has a flared panelled skirt with many layers of gold tulle below, giving extra volume. 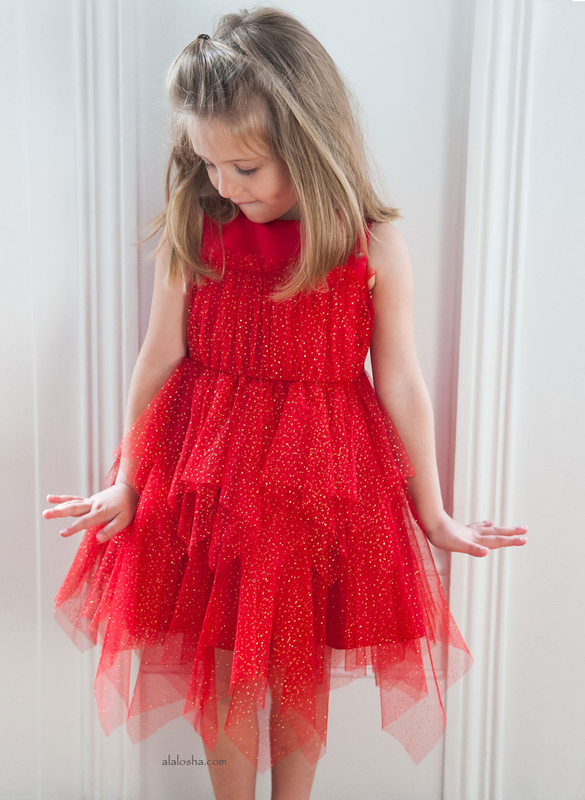 The tulle can be seen below the hemline and falls longer at the back than the front. Fully lined in soft cotton, it has a concealed zip fastener at the back and comes with a matching pouch handbag. Girls elaborate gold satin and tulle dress by Junona, with a lady wearing a shiny gold shell dress on the bodice and gold bead detailing. 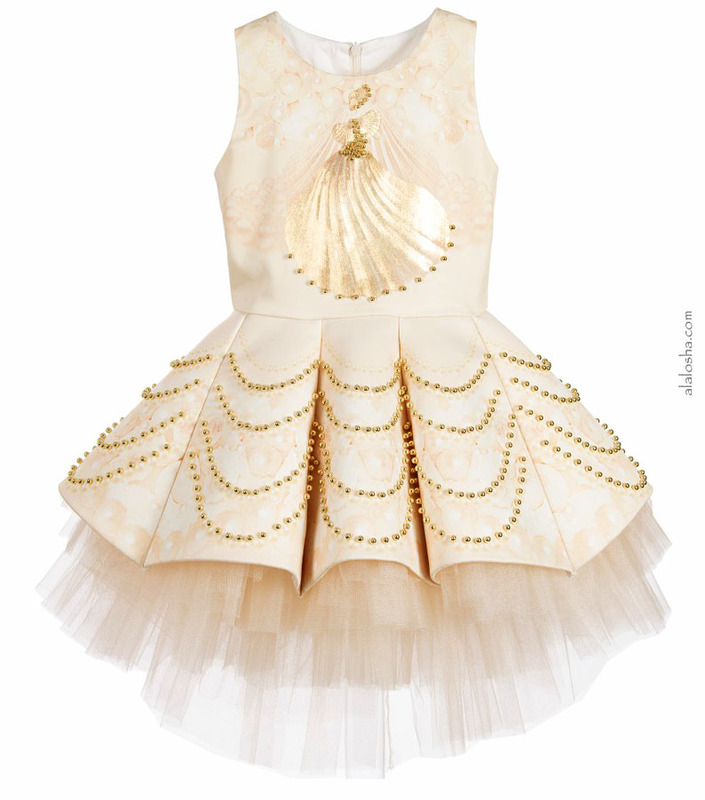 It has a flared panelled skirt with many layers of gold tulle below, giving extra volume. The tulle can be seen below the hemline and falls longer at the back than the front. Fully lined in soft cotton, it has a concealed zip fastener at the back and comes with a matching pouch handbag.